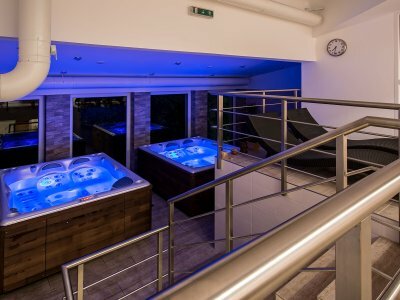 From 2016, Hotel Diery*** offers, besides well known excelent customer services in the hotel and the restaurant Koliba, completely new spa wellness centre in the hotel. 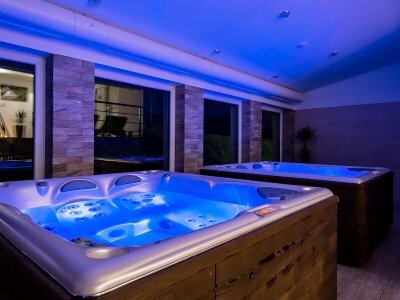 It became very popular very quickly, but thanks to limited capacity of 10 persons only and because of the reservation system, you can enjoy the feeling of private wellness. 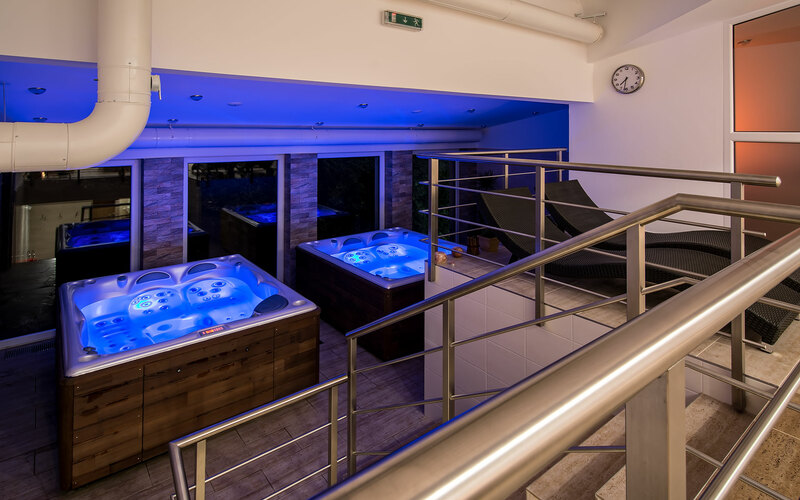 We are trying to split the reservations, so you can enjoy the visit of the wellness in couple or families solely... 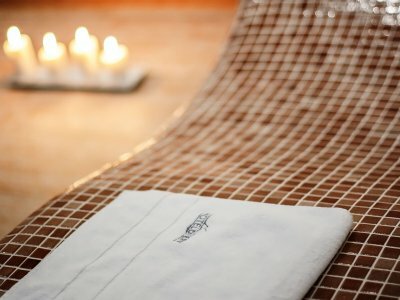 Either it is the visit to spa wellness centre or the massage, the reservation is obligatory. 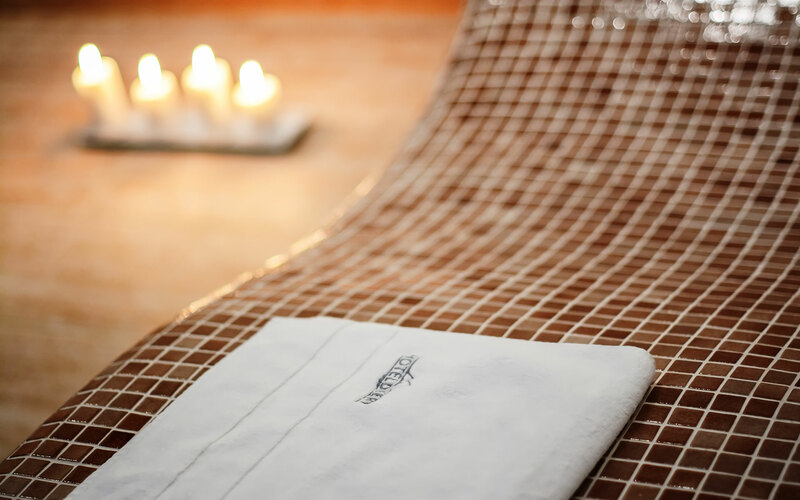 Opening hours of the spa wellness centre is daily 14:00 - 22:00. Massages are offered on Tuesday, Wednesday, Thursday, Friday and Saturday during 14:00 - 21:00 and these are performed by proffesional masseuses from massage saloon Mandala. 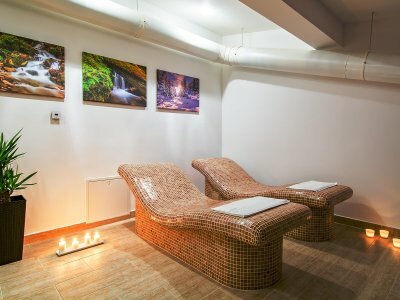 If you are not a guest of our Hotel Diery***, you can still check the availability of spa wellness centre and massages by calling mobile 00421 911 569532. 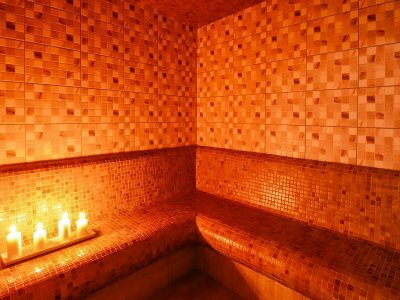 SAUNA AREA - The word sauna comes from Finland where it mentions a small warm room that is used for sauna after warming. 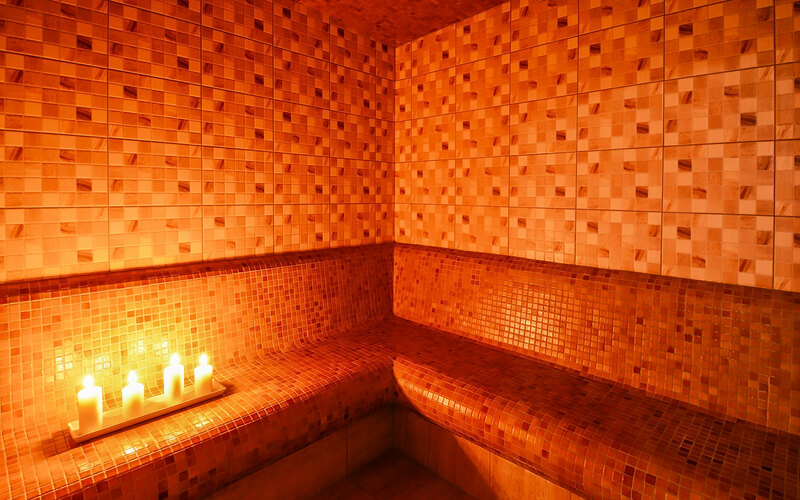 The sauna serves to warm up the body, relax the muscles and relieve the stressed body. Important for proper sauna is the subsequent cooling of the body, whether it is in cold air or sudden cooling under cold water. 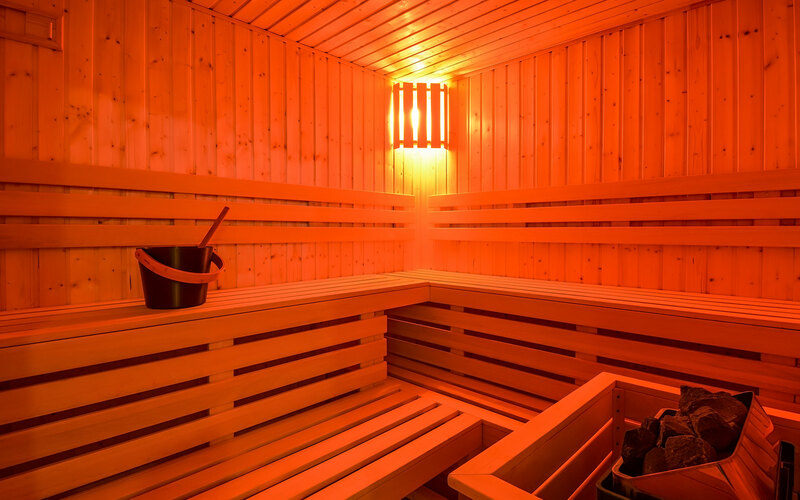 This process is repeated several times, and regular saunas greatly enhance the immune system. 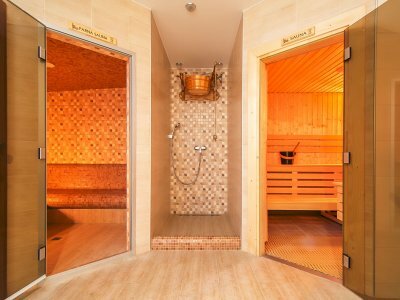 For hygienic reasons, the entrance to our saunas is basically free of swimsuits, with a blanket provided. FINNISH SAUNA - temperature 100°C and low humidity, for 2-6 persons. Recommended length of stay: 10-15 minutes, repeated 2-3 times. 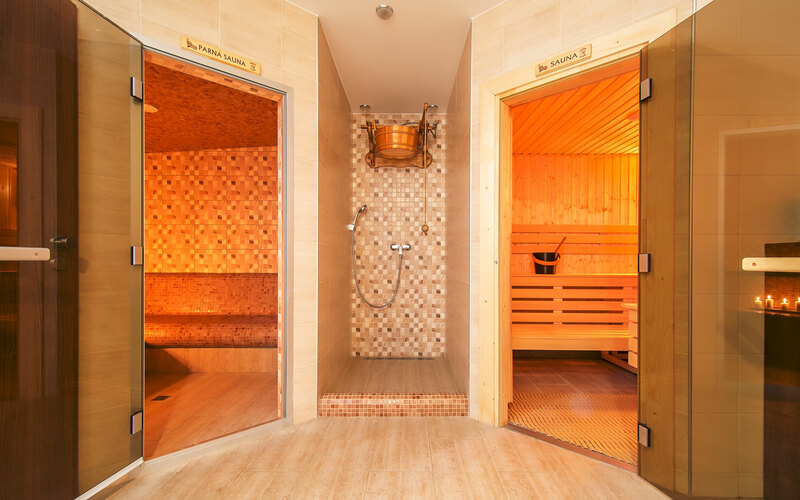 STEAM SAUNA - temperature 50-60°C and high humidity, for 2-4 persons. Recommended length of stay: 10-15 minutes, repeated 2 times. 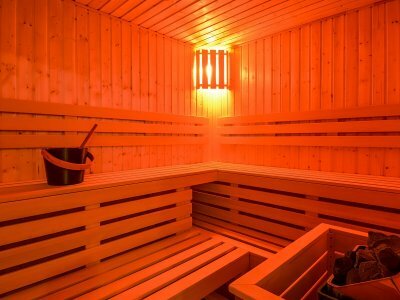 INFRA SAUNA - temperature 50°C and low humidity, for 2 persons. Recommended length of stay: 15-30 minutes, repeated 2-3 times. 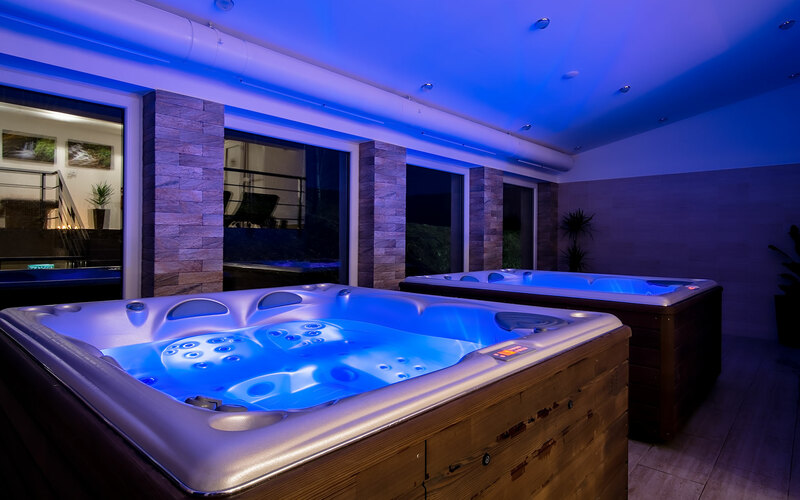 WHIRPOOL AREA - With a whirlpool, you will enjoy relaxation and positive health effects, thanks to the fact that the water as such is great for rehabilitation. 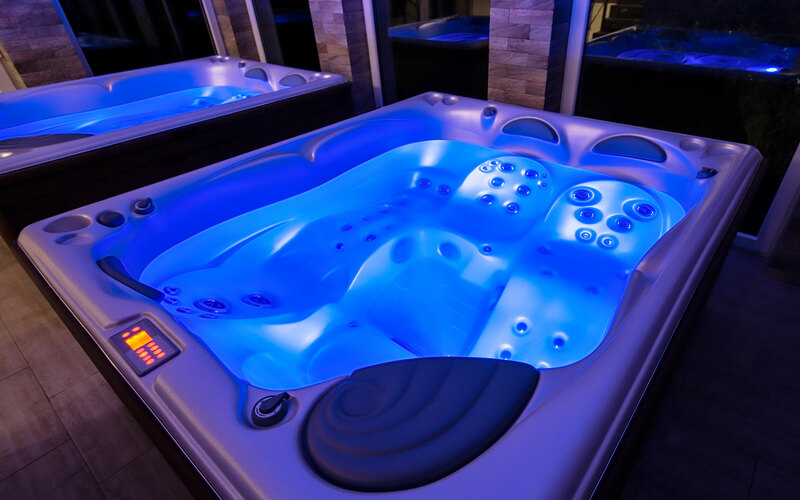 HOT TUB temperature 36°C for 2-4 persons. Recommended length of stay 20min. 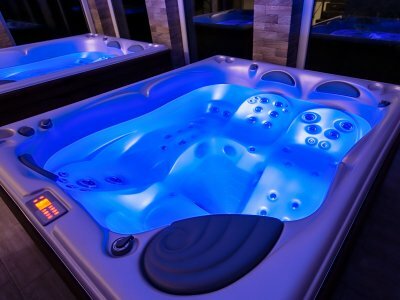 HOT TUB temperature 38°C for 2-4 persons. Recommended length of stay 20min. RELAXING AREA A MASSAGES - For perfect relaxation after sauna and whirpool, the relaxation phase is important. We offer you two heated relaxing deck chairs as well as eight classic relaxing chairs (4x inside + 4x outdoors). 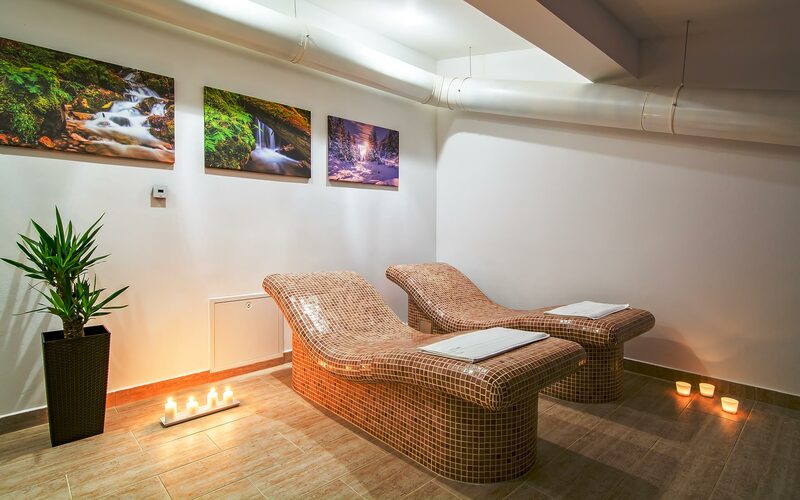 In addition to the wellness area of our wellness center, we also offer a massage room with professional masseur Štefan and masseuses from Mandala massage salon. Massage is a great addition to wellness with many direct and indirect effects on the human body.